FRAMINGHAM, MA – October 5, 2016 – DPS, the global engineering group and its US architectural partner TRIA has won a major contract to provide architectural, engineering and project management services for a new $110 million, 200,000-square foot GMP mRNA clinical manufacturing facility in Norwood, Massachusetts, for biotechnology company, Moderna Therapeutics. DPS is providing full architectural and engineering design for the Norwood facility and also providing construction management oversight, commissioning, qualification and validation and procurement services. 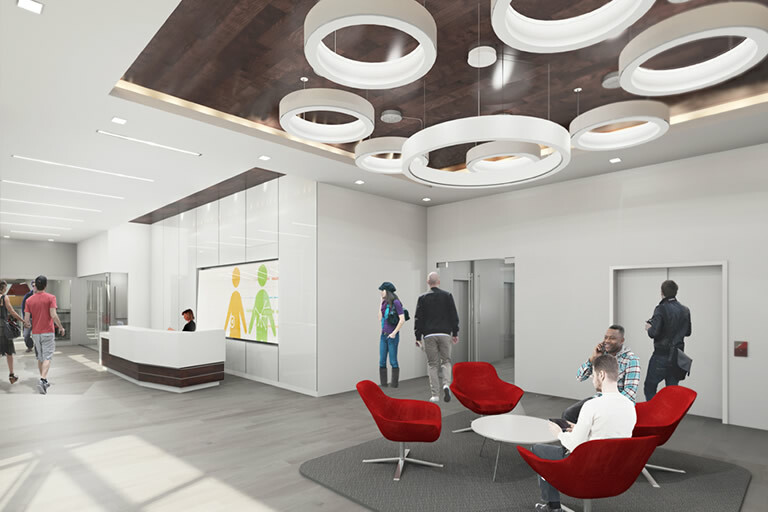 TRIA is designing clinical labs, offices, employee facilities and a conference center. Construction of the new facility is due to begin in October 2016 and be completed in early 2018. Moderna Therapeutics is a clinical stage biotechnology company pioneering messenger RNA (mRNA) Therapeutics™ to create a new generation of transformative medicines for patients. The company’s Norwood facility will enable the manufacture, quality, control and supply of clinical grade mRNA therapies and vaccines for Good Laboratory Practices (GLP) toxicology studies as well as Phase 1 and Phase 2 clinical studies. Moderna will carry out all manufacturing activities at the site—from raw material production to active pharmaceutical ingredients (APIs), formulation, filling and finish. We’re an innovative and entrepreneurial Project Management and Engineering company that puts your interests first, with a great emphasis on people before process. We’ve been serving industry around the world for 42 years, relied on for our agility, original thinking, sound judgement and high-calibre people. What sets us apart is the rapport we build with you and the care we take to gain a fundamental understanding of your businesses and how you operate. DPS delivers Full Service Engineering with a ‘client first’ mentality and personal touch across a range of disciplines: Project and Programme Management, Procurement, Design, Construction Management, Health & Safety Management, Commissioning, Qualification and Start-up. We have one goal: to deliver more than you expect first time, every time. Our sector expertise spans many markets including Biotechnology, Pharmaceutical, Medical Technologies, Oil and Gas, Advanced Technology, Food & Beverage, Energy and Science & Education. We have grown substantially in recent years and now employ over 1,200 people in Dublin and Cork, Ireland; Leiden, Netherlands; Brussels, Belgium; Singapore, Kiryat Gat, Israel; Albany, Boston and Durham, United States. For more information, visit www.dpsgroupglobal.com. Established in 2015 and based in the innovation hub of Boston, TRIA practices the architecture of discovery. The firm combines a deep understanding of the unique needs of science-based organizations with decades of experience constructing spaces and places that enable those organizations to meet their goals. Using a principal-driven approach, TRIA partners closely with clients to enable business success and advance new discoveries, in the lab and across the organization. For more information, visit www.tria.design and connect on LinkedIn, Facebook, and Twitter at ‪@TRIA_Inc.